The Sculptor Galaxy (NGC 253) is an intermediate spiral galaxy in the constellation Sculptor. The Sculptor Galaxy is a starburst galaxy, which means that it is currently undergoing a period of intense star formation. 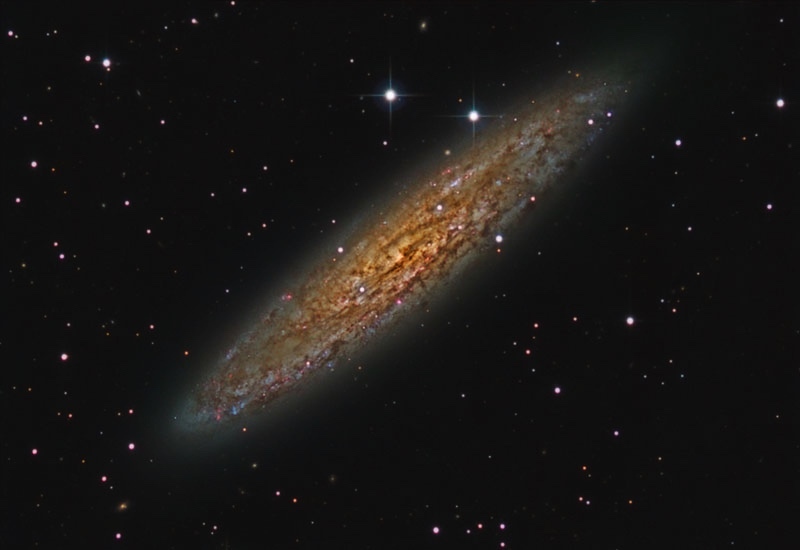 NGC253 is approx. 10 million light years distant.